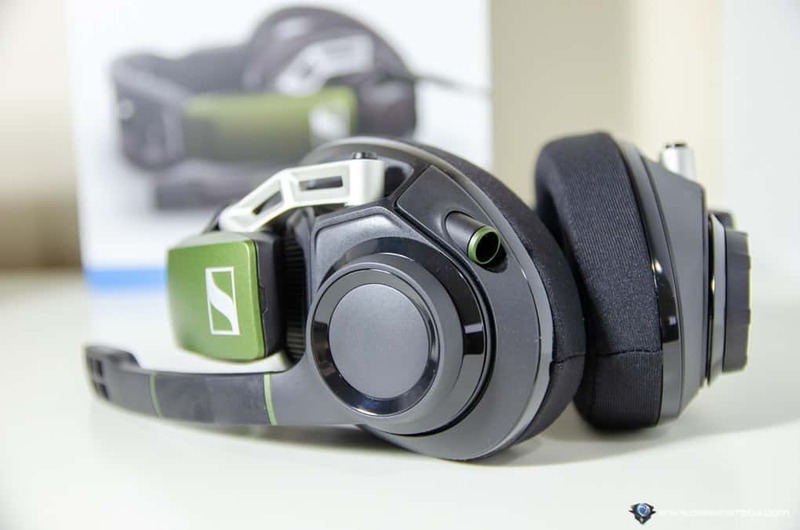 Sennheiser GSP 550 Review – Sennheiser has entered the gaming industry for quite some time – check out our review on the Sennheiser PC 373D (or the predecessor, PC 363D). 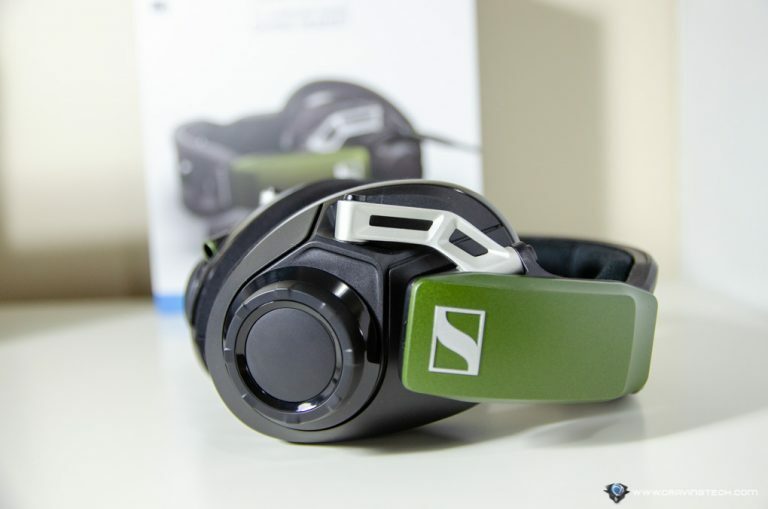 What I loved about those headsets were the premium construction and sound signature that we all love from Sennheiser. The GSP 550 by Sennheiser is a PC-only gaming headset with open acoustic design that supports 7.1 Dolby Surround sound, so if you are looking for a PC + Console headset in one, you should look at the other models. I like how it comes with a long cable, so I can still walk around near my desk without having to take the headset off. The headset also has exchangeable ear pads, cables, and cover plates which I’m sure you can buy separately if you ever need to. 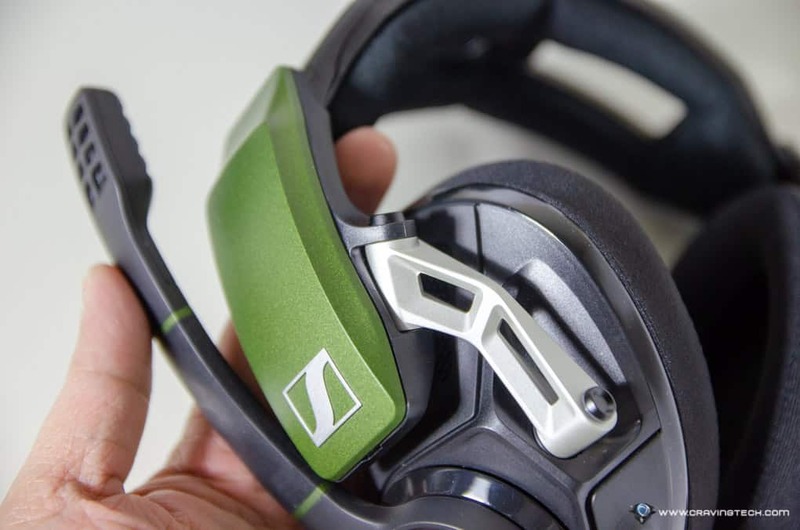 Unlike other Sennheiser gaming headsets, the GSP 550 has a different Green-themed colour which may not suit everyone’s style or desktop theme – but at least it’s not a Neon Green or something more exotic. 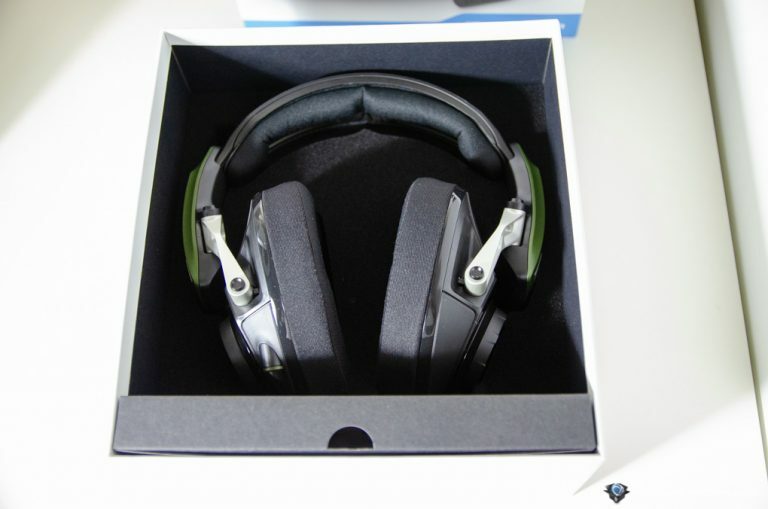 The overall construction is very sturdy and it comes with a 2-axis metal hinge system and adjustable headband. 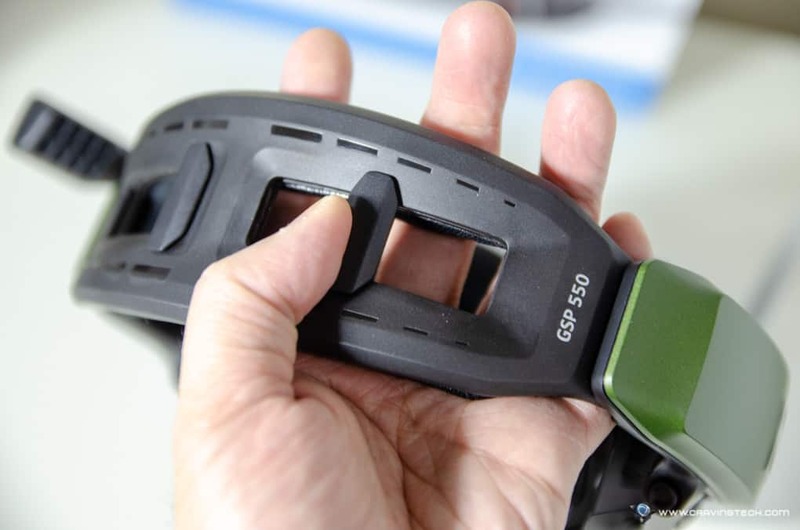 With the GSP 550, I can adjust the height of the headset and also how tight I want it to be on the head (through the contact pressure mechanism). 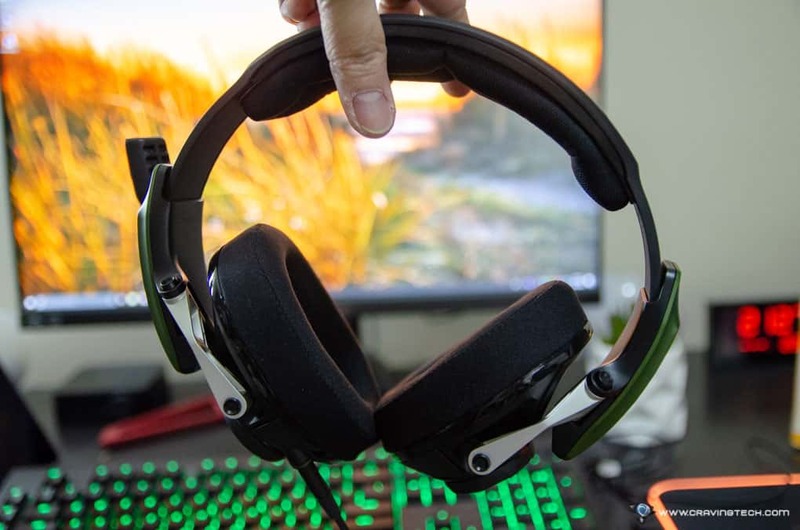 This degree of customisation will prove useful on different head types and sizes – which I rarely found in gaming headsets I’ve reviewed so far. Thanks to the open acoustic design, the GSP 550 does not feel too tight on the head and allows some outside noise to be heard. It makes the sound feel more natural, compared to a closed design – though this may come down into preference. 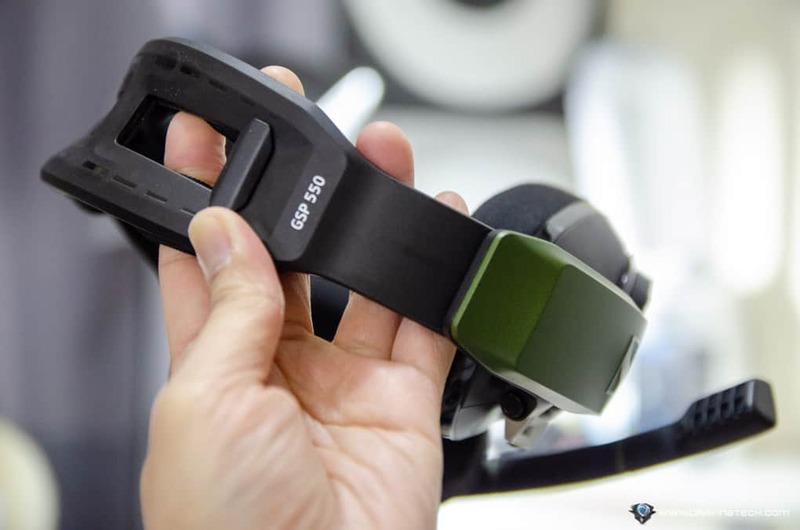 Another thing I like about the GSP 550 open design is that the ear cups give my ears so much breathing room (they cover the whole ears and more). 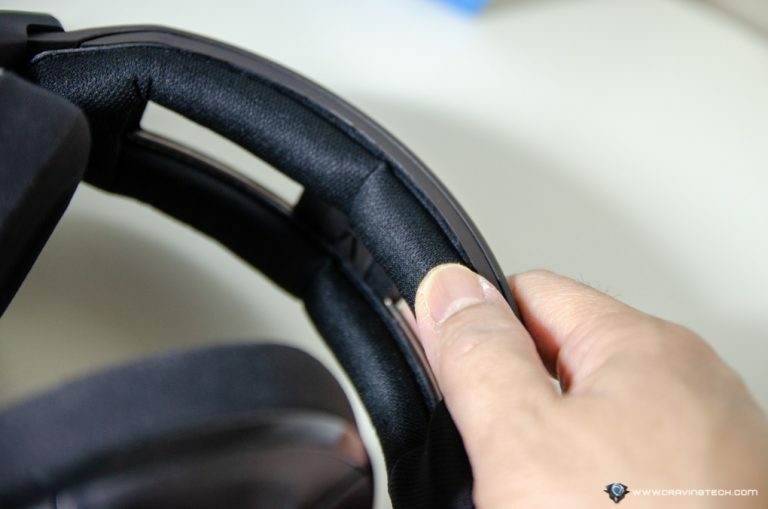 It doesn’t feel like your ears are touching the ear cups at all, which offers more comfort at the expense of a closed/tight seal. The microphone has the same recording quality that I’d expect from the PC 373D I reviewed, and it comes with noise cancellation feature. I turn it off because I’m using the headset in a quiet bedroom but I reckon this will be handy in a tournament or noisier environment. Mic also auto mutes itself when the boom arm is raised. With the included surround dongle, you can turn the Dolby Surround on and off with just a press of a button. 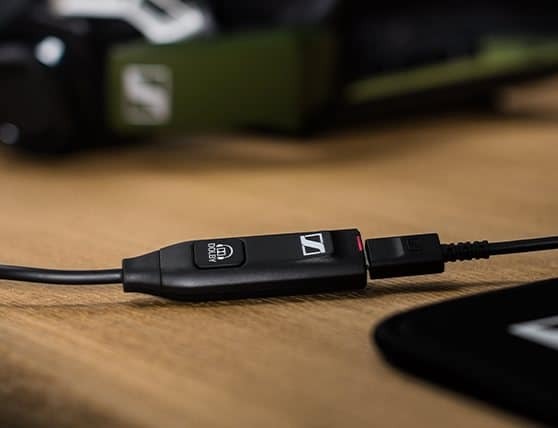 You can also do this from the Sennheiser software installed on your Windows (as a driver installation) – where you can further customise a few more settings such as equaliser presets and more. 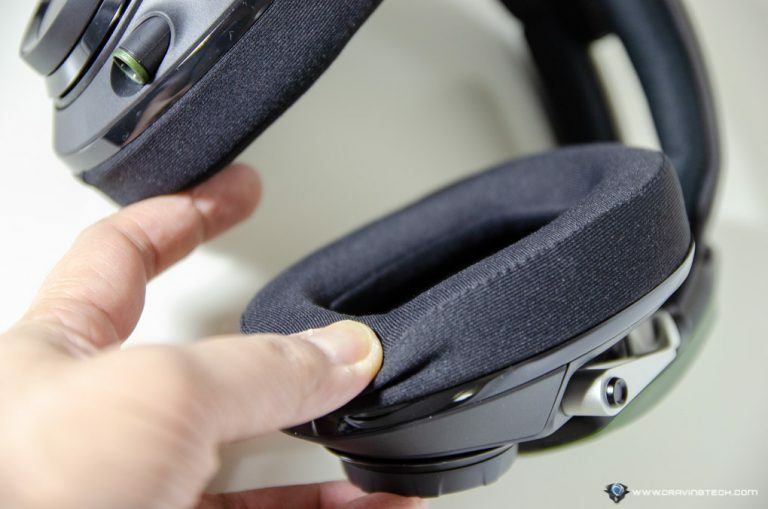 There is also a volume control on the right ear cup so you can adjust the volume any time by rotating it clockwise/anti-clockwise. 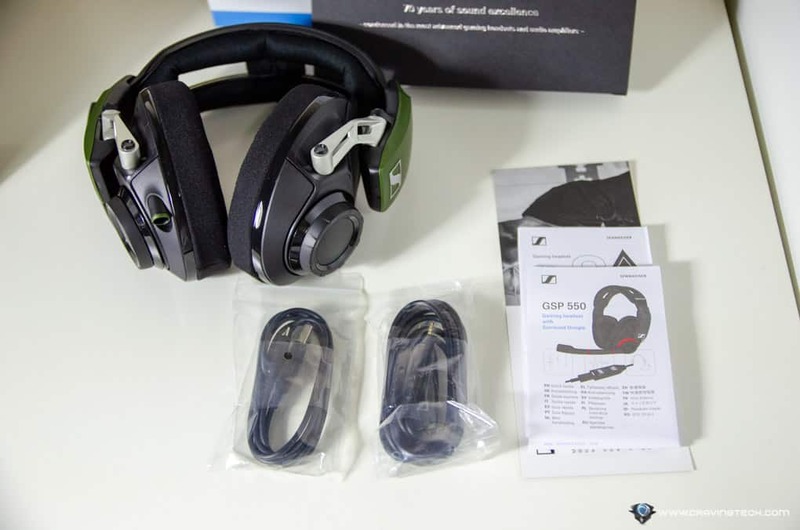 I’ve been using the Sennheiser GSP 550 for playing Overwatch in both Quick Play [Casual] and Competitive [Ranked] modes. What I like about the headset is the clear audio separation + positioning where I can pinpoint the enemy’s positioning without even looking. I managed to pinpoint an enemy Reaper trying to flank our team’s position by hearing his footsteps above, communicated it to the team, while I stood by waiting for him to come. He surely wasn’t expecting that we were ready to counter his sneaky play trying to unleash his ultimate on us. On another occasion, I was busy in a 1 vs 1 duel when an enemy’s McCree executed his ultimate skill. But because I knew exactly where he was (by listening to where his callout came from), I could hide behind a pillar (while still duelling with another enemy) without trying to find where the McCree was. I usually opt for Stereo mode when playing Overwatch (using the in-game Dolby Atmos) but go for 7.1 while playing games like Left 4 Dead 2. The dongle offers me a quick switch between the two when needed. 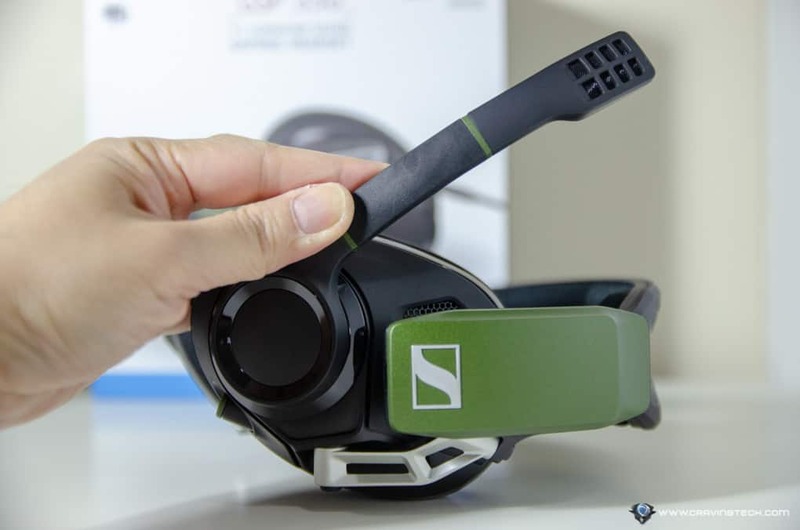 Sennheiser GSP 550 also has a strong, deep low frequency (Bass) that you’ll be satisfied with, especially for hearing explosions in game or movies. This can be adjusted through the presets just in case you want to hear the footsteps more than the big, bang, boom. I was also doing a music practice (I’m playing the Bass guitar) last week with the Sennheiser GSP 550. Thanks to its audio clarity and deep Bass, I could hear every little low frequency details in the songs I needed to practice on (and learned the variations). 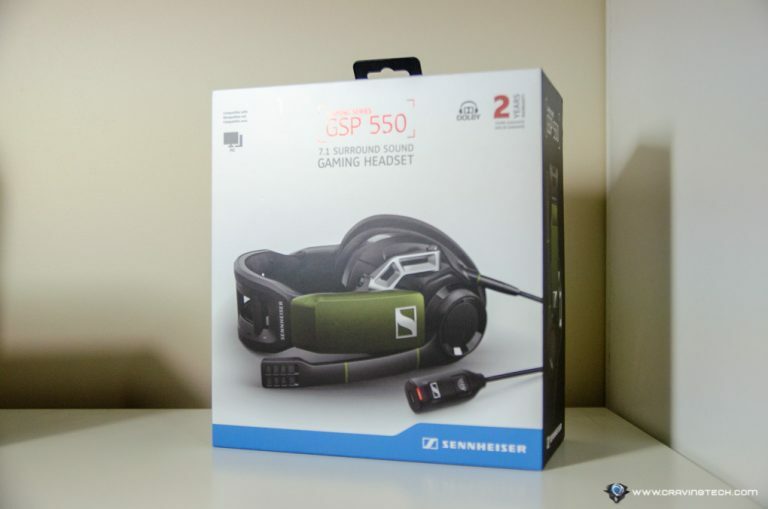 Overall, Sennheiser GSP 550 is an all around, satisfying PC gaming headset with great sound and recording quality. 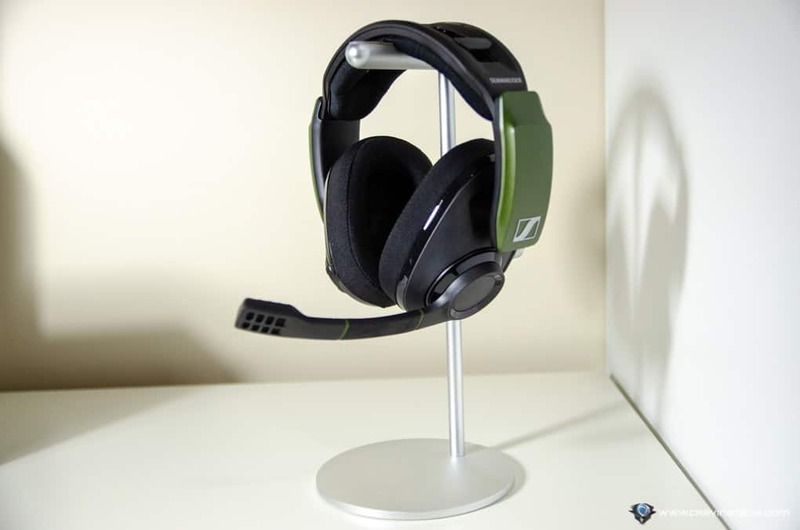 The headset’s open design offers comfort and plenty of breathing space on the ears, plus it has a great audio positioning that will give you an advantage in any online, competitive games. 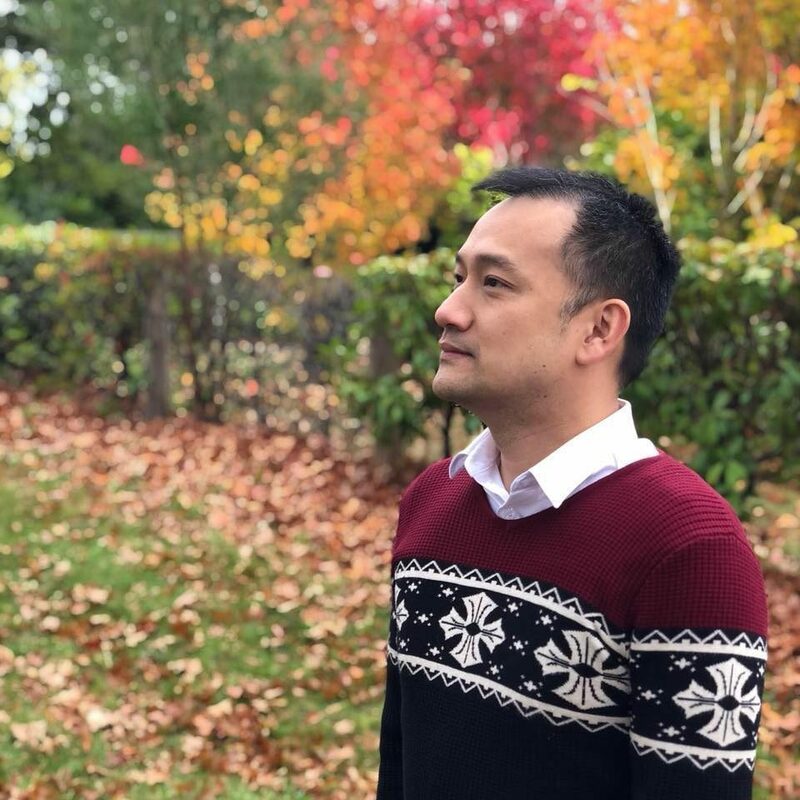 Its sturdy construction and two different adjustments should fit any head type and size, and the long cable should not restrict you to stay in one place. 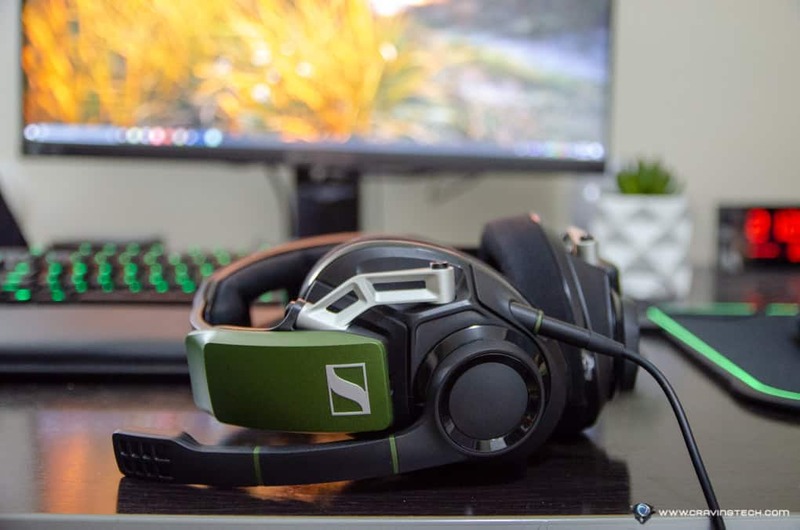 There is no fancy light show or other exclusive features like a built-in DAC, but Sennheiser GSP 550 is a solid gaming headset that you’d want to use as your primary gaming headset. 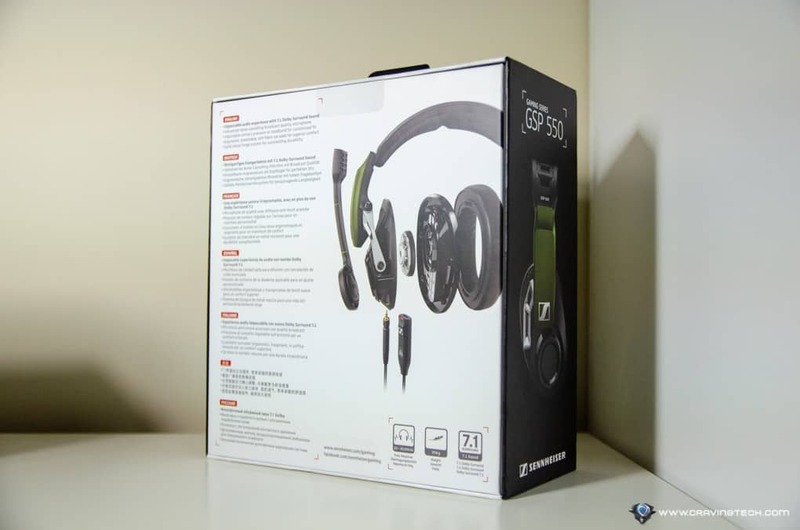 Sennheiser GSP 550 can be purchased with an RRP of AU$399.95 at major retailers around Australia.